Robotics can be defined as the branch of computer science, electrical engineering, and mechanical engineering that deals with robots from their design and construction to their application. Robotics also entail the computer systems for the control, sensory feedback, and information processing of robots. The concept of autonomous machines dates back to classical antiquity. Throughout history, there have been many documented automated inventions that could behave in a similar fashion to humans. It has been frequently assumed that one-day robots would be able to manage tasks in a human-like manner while also mimicking human behaviour. Robotics is a rapidly growing field, as technologies continue to advance and robots are built to serve practical purposes. All contain some level of computer programming code. All robots have electrical components which power and control the machinery. All have some kind of mechanical frame or shape designed to achieve a particular task. Industrial robots have been in use for over five decades. The first industrial robot was used in a General Motors automobile factory in 1962. This robot performed spot welding and extracted die castings. 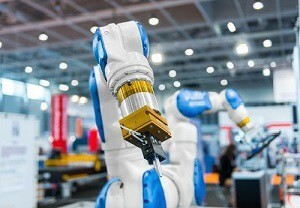 The most popular applications of industrial robots are handling operations, welding, dispensing, assembly, and processing. Robotics are also used in the food and beverage industry. They suit aspects of different processes while meeting strict hygienic demands. Robots are designed to help increase productivity and optimise end product quality in such industries. Today’s market for robotics is not fully mature. 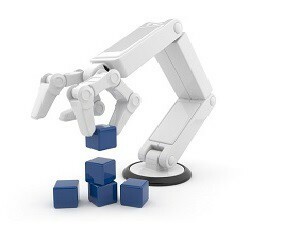 Software compatibility layers have yet to emerge to allow the development of a rich robotics ecosystem. It has been projected that by 2022, there will be intelligent robots that sense their environment, learn, and make decisions will be used in 30% of households and organisations. Back in 2006, the U.S. Department of Defense forecasted that by 2035 the first completely autonomous robot soldiers will be in operation. The year 2050 may see robot “brains” based on computers that execute trillions of instructions per second with intelligence that rivals humans. Many robot manufacturers are looking into fields that are lacking workers. One area of interest is developing robotic helpers for the elderly. There may also be major uses of robotics in law enforcement and security. The future of robotics may include robots as small as computer chips being inserted into everyday appliances such as vacuum cleaners. As technologies advance, the future of robotics continues to unfold.